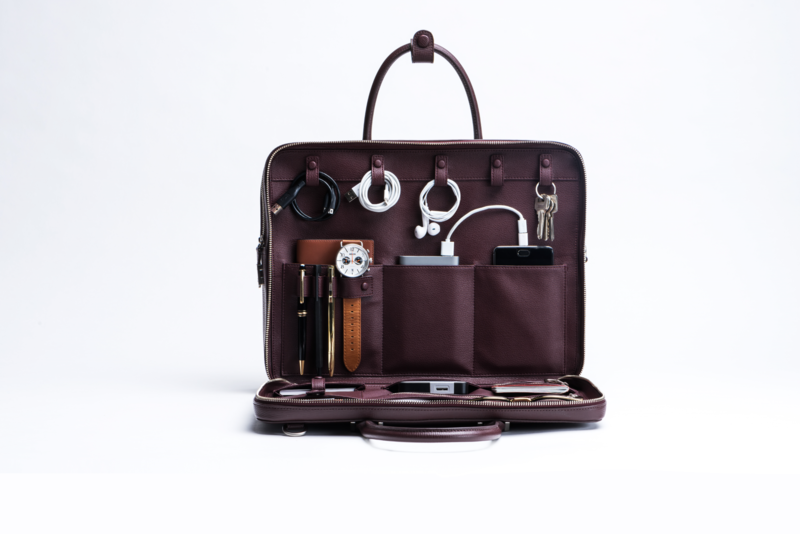 Joseph Lor, CEO at Faire Leather Co., designs functional leather goods for modern men. Joseph Lor, CEO, is half of the duo behind this offering. With seven years’ experience in the local leatherwork business, he is the second generation entrepreneur of family-owned Tocco Toscano, a fashion label for fine leather bags and accessories originating from Tuscany, which has thrived in Singapore for over 30 years. Following the rise of mobile payments, biometric keyless cards and working on the go, Joseph knew that a contemporary take on men’s leather goods was required to combine classic styles with functional designs. Typically, a male working professional needs a laptop, notebook, power bank, cables and business cards stored in a stylish bag. But these items get jumbled up in a mess. Hence, the brand was conceived to fit all essentials in a neat fashion. Polished designs with utilitarian solutions subtly navigate everyday life, work and play. Everything has their own place and easy access in the bag. As a new brand, the team will focus on building brand awareness in the US market, participating in trade shows to showcase and source for distributors. Meanwhile, Faire Leather Co. continues to develop a healthy library of products, imbued with a functional, thoughtful and considered approach. 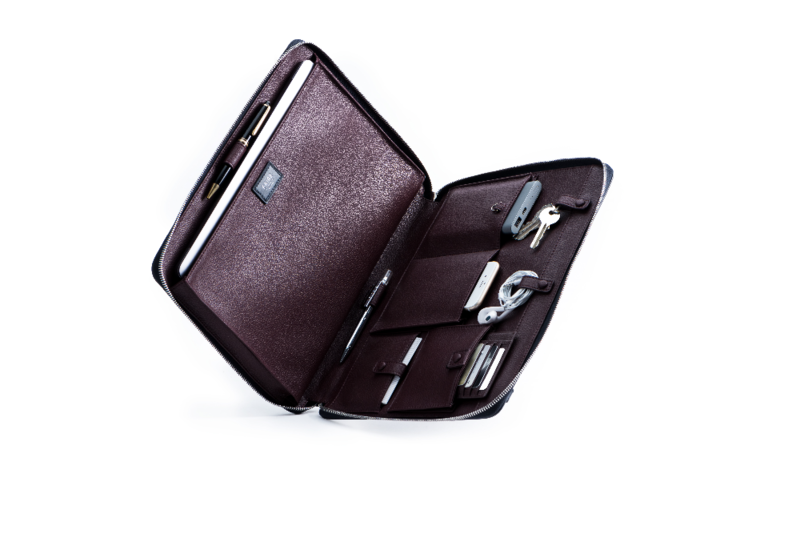 Prices range from SGD 99 for a Slim Bifold Wallet to SGD 549 for a Bond Travel Briefcase, All are available for international shipping via the website. Founders of Faire Leather Co. Joseph Lor, CEO (left) and Ryan Choy, Chief Brand Officer (right). Doyenne: In three words, describe functional leather. Joseph: Functional, considered and thoughtful. A Faire Leather Co. product puts these into the design and material. D: What’s your take on luxurious leather? J: Luxury isn’t something that one aggressively shows or displays. Whether it’s solving a problem, or simply liking a product, it points to a state of comfort that becomes part of one’s life. This is what luxury should be – great design that’s perfectly suited for everyday life. J: For decades. As long as proper care is put into the bag, and items are not forced into it, which may compromise the shape. J: A solid leather wallet. It is most often used in our everyday lives. D: Is there anything available for women at Faire Leather Co.? J: We plan to come up with designs and collections for women in about a year’s time. Meanwhile, The Bond Everyday Padfolio, Travel Wallet, Passport Sleeves and Cardholders are also great for women.